String art is often used in home decor and gifts. 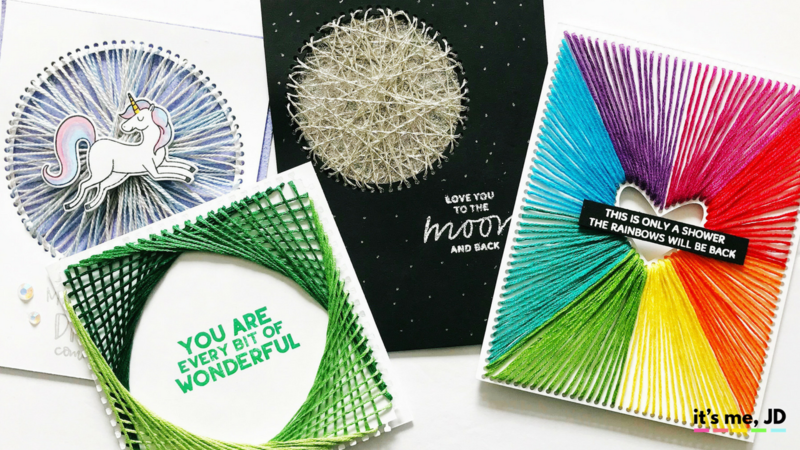 With the right supplies and a tutorial, string art can also be used in cards and paper crafts. 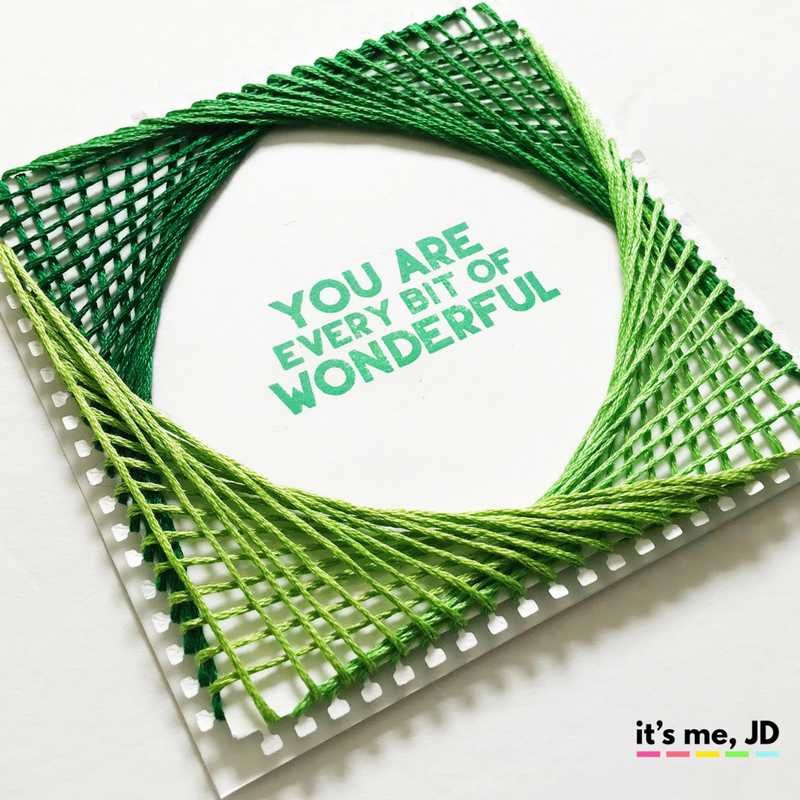 There is a variety of string art patterns to choose from. If you’re going to use metal dies like I did, there are fewer choices. 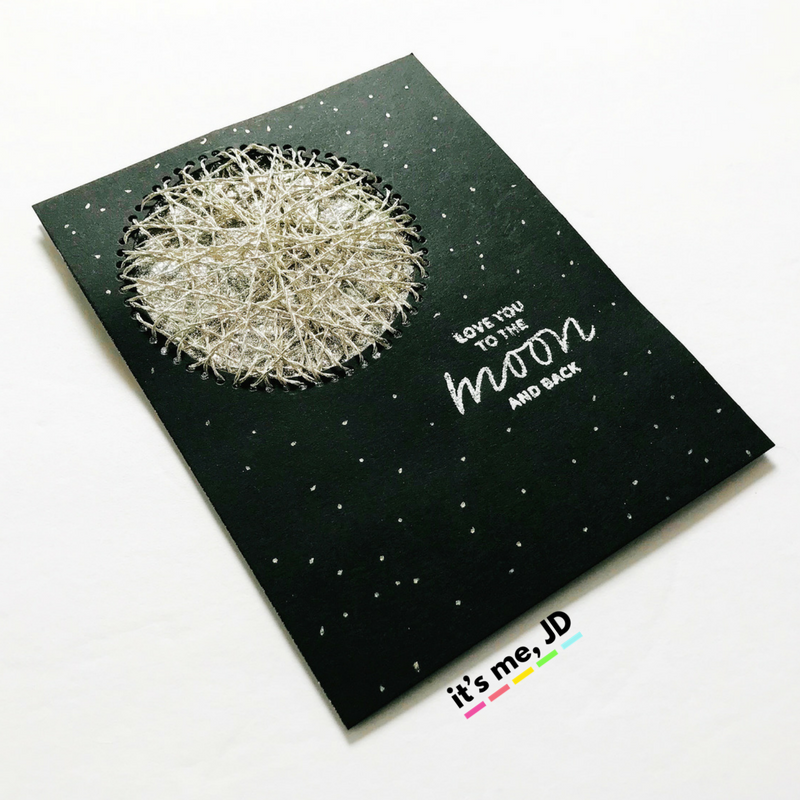 However, the dies make string art on cards super easy to do. The process video demonstrates some techniques and there’s also a supply list below. I recommend getting a thick cardstock like this so your project doesn’t tear or buckle too much. Once your project is more complete, you can use a strong tape like this to secure your string. I used this embroidery floss because there are so many colors and it’s not that expensive. 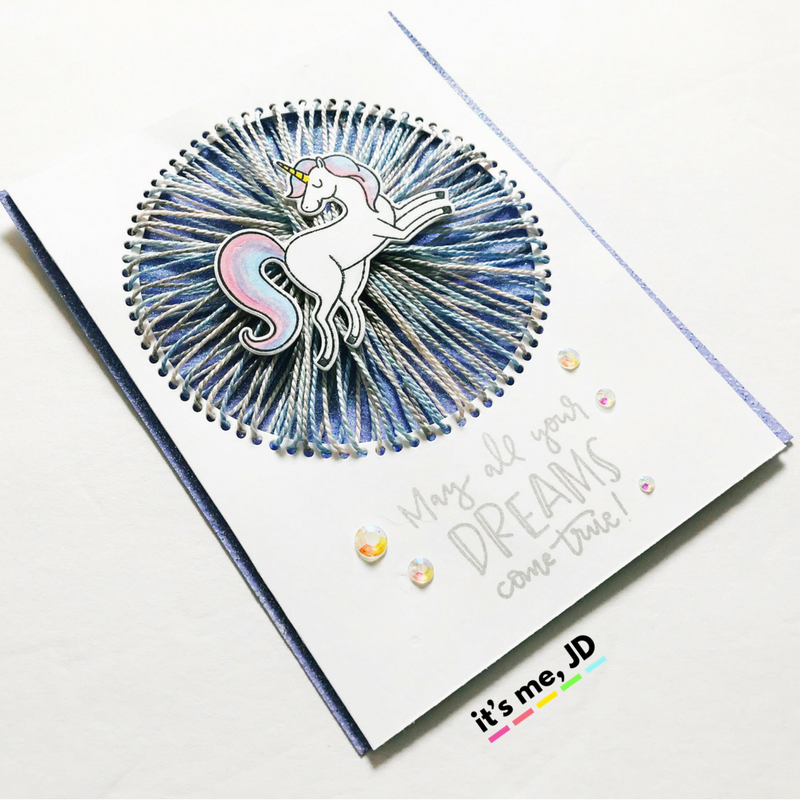 You can use the “clock” technique here where I used a circle die for the holes. Then I started at 12 o’clock, then went to 6 o’clock, then 11 o’clock to 5 o’clock and so on and so forth. For this technique, you would string the floss any which way you want. I would recommend make sure every hole has string looped and to keep the overlaps as even as possible. For this card I used this die to cut out a rectangle of holes, then I cut out a heart of holes in the center. 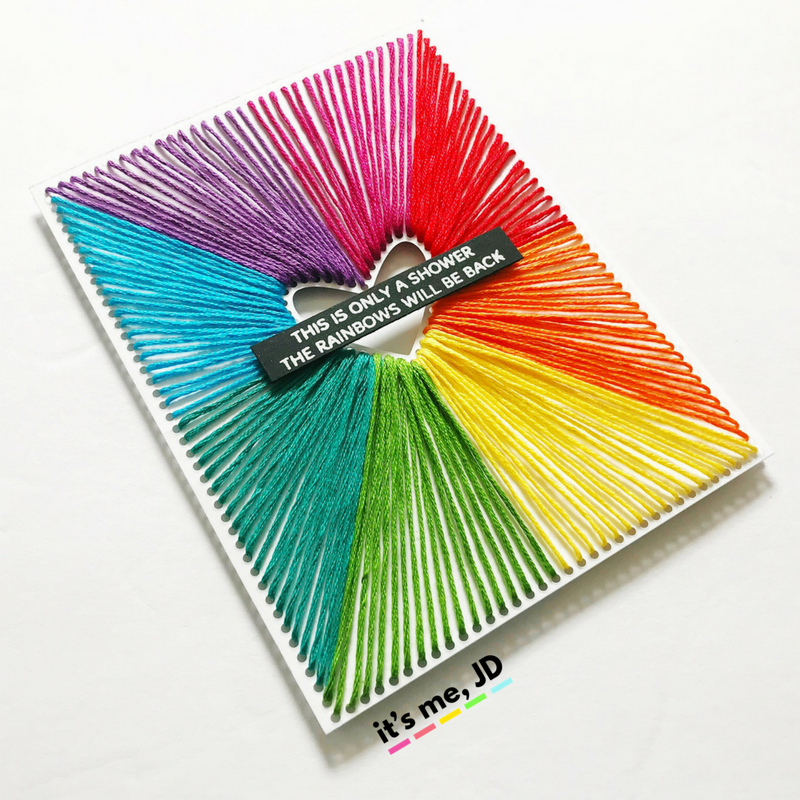 I divided the card into eighths with a pencil, and then used a separate color of floss for each section to make a rainbow.